The 'Netflix Of Books' Hopes To Open Up The E-Book Market : The Two-Way Oyster, the subscription e-book service, says it is opening up a retail component and has the Big Five publishers on board. The move sets up Oyster to challenge Amazon. With the launch of its e-bookstore on Wednesday, Oyster is, well, turning the page on its business model. And so far, the big publishers are open to the change. Oyster, the subscription e-book service, announced Wednesday that it will be doing something that's a little bit retro: selling e-books the old-fashioned way, just one at a time. Since its launch in 2013, Oyster has founded its brand — and earned the auspicious nickname "Netflix of books" — on a monthly payment model not unlike an all-you-can-eat buffet. Now, if readers would like to order just one of those dishes, so to speak, they can. 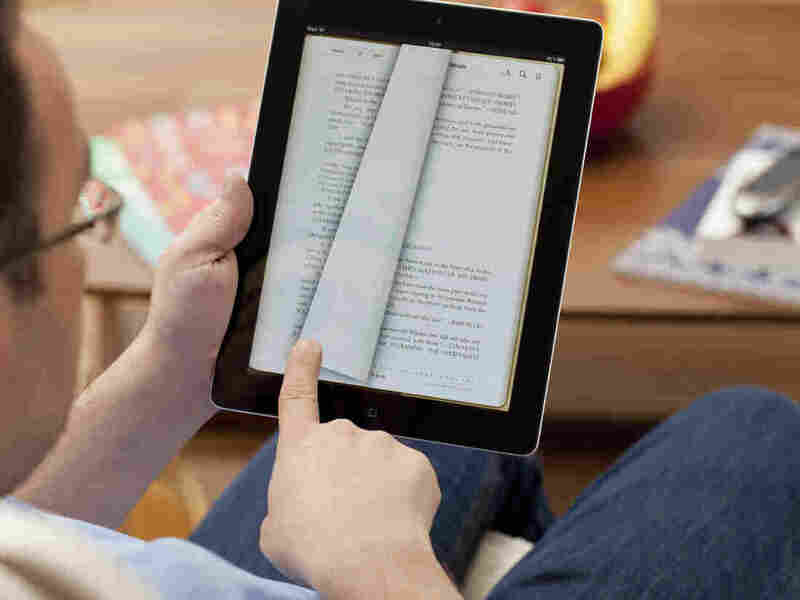 Oyster has expanded its service to include an e-bookstore, which can also be accessed by those without a subscription. In an interview with The Wall Street Journal, Oyster CEO Eric Stromberg said the move into retail is a response to the shifting habits of readers. As more people have begun to read their e-books on tablets and phones — not just dedicated e-readers — they are less tied to specific platforms to buy those digital books, Stromberg tells the Journal. In turn, he says, this opens doors for retailers. And there's another important detail: Oyster says it has gotten the full participation of the Big Five American publishing houses: HarperCollins, Penguin Random House, Simon & Schuster, Macmillan and Hachette Book Group. Murmurs have surfaced — broken first by Business Insider — that HarperCollins isn't happy with its contract negotiations with Amazon over e-book prices. And Hachette spent much of last year embroiled in a high-profile dispute with the e-tail giant over its contract. At the time Macmillan's e-book pricing deal was inked, CEO John Sargent voiced similar dissatisfaction with the state of the digital marketplace. "Through great innovation and prodigious amounts of risk and hard work, Amazon holds a 64 percent market share of Macmillan's e-book business," Sargent wrote to Macmillan authors. "As publishers, authors, illustrators, and agents, we need broader channels to reach our readers." Oyster, then, appears to be nosing open the door into e-book retail left ajar by these continued frictions, and it's doing so with an unusual pricing model, according to Wired. "The model works like this: Oyster pays publishers a sum of money each time 'a fair portion' of a book is read on its subscription service. It also shares valuable reader data with publishers in the aggregate." Such access has so far proved attractive to publishers. Whether Oyster can convert that into a significant challenge to Amazon, though, remains to be seen.